Never loose your keys again with this heart keyring an ideal gift for yourself or others, it�s the perfect accessory to any bag or keys. 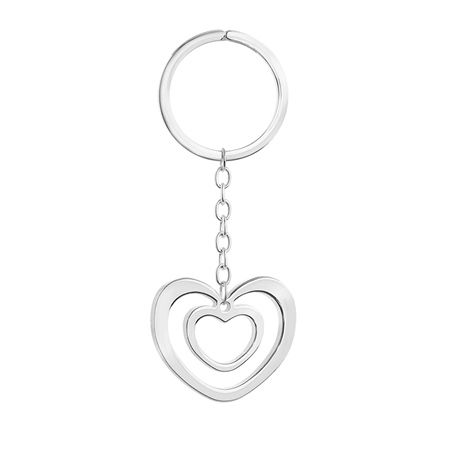 Silver plated keyring with a protective anti tarnish layer, double heart design, presented in a Newbridge Silverware gift box. Product dimensions 38mm x 34mm x 3mm.